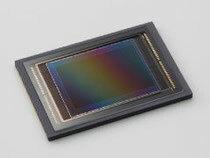 A couple days ago, Canon Inc. announced their new APS-H size CMOS image sensor that delivers an image resolution of approximately 120 megapixels. It is such a leap from 16megapixels of their conventional APS-H size sensor. However, it is understandable that could be possible since their smaller sensor cameras deliver more than 14 megapixel. If the smaller sensor can have a great images with high resolution, you can just multiply that to make one big sensor with super high resolution. What is amazing is it's speed that allow you take more than 9 frames of picture with this resolution in one second. Even my Canon 5DII gives you about 60 MB image with 20 megapixel raw file. I suppose the 120 megapixel sensor gives you about 360 MB raw image. 9 pics of 360MB images in one second take up 3.24GB in one second. Well it should only be used for highly demanding shooting, however at least you would like to buy 128G the biggest CF memory card which allow you to take up to about 350 raw images. You would also need another 10 external hard disks or something... I am also wondering if there is a lens that can convince with the sensor's resolution.